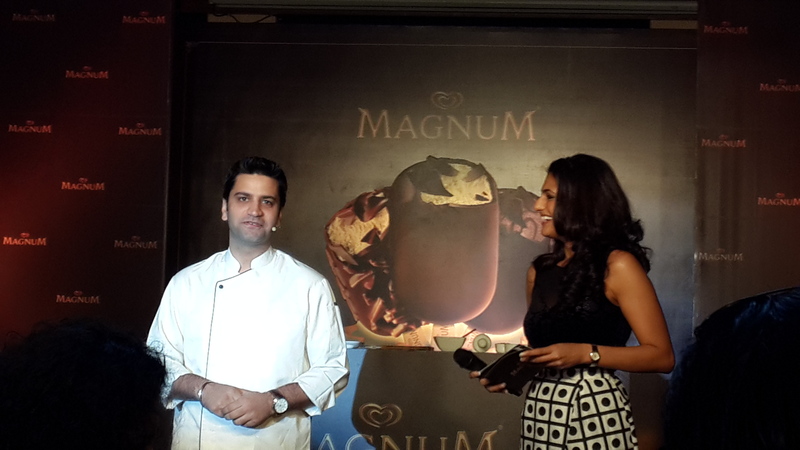 Last lucky Saturday I was one of the first few in Mumbai to taste the delicious world famous Magnum Ice Cream and attend its wonderful launch and masterclass hosted by the celebrity Chef Kunal Kapur. I reached the venue Bungalow 9 Bandra, Mumbai around 1.45 pm. As we were all seated and waiting for the event to begin. I couldn’t help but notice chocolate samples on the table. Now when there is chocolate samples on the table what do you do. You eat. Its like peanuts at the bar. After a while and quite a few samplings of chocolate. The event started which was slowed down due to the unexpected rains in Mumbai. Let me clarify everything slows down when it rains in Mumbai. 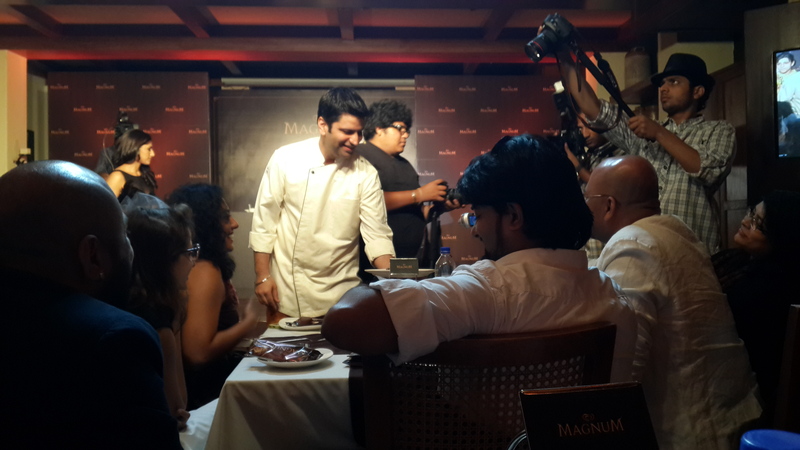 So the event began and Chef Kunal Kapur entered and was greeted with a lot enthusiasm and applause. He was in and we were at work. 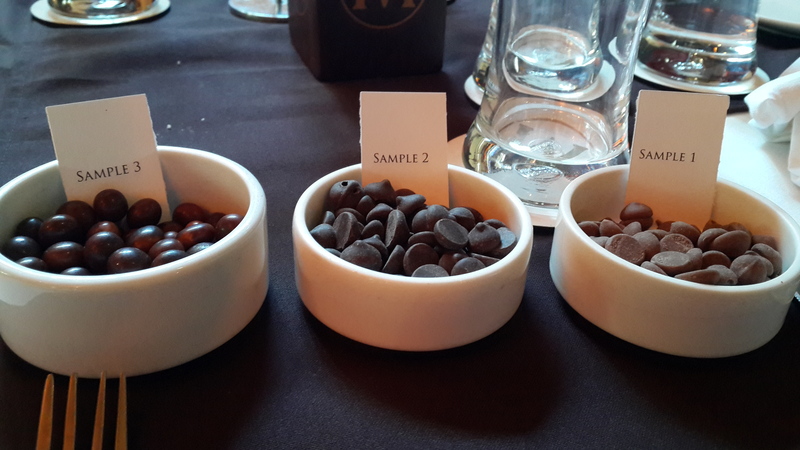 Chef gave us a brief but informative knowledge on the chocolate sample which was none other than Barry Callebout. 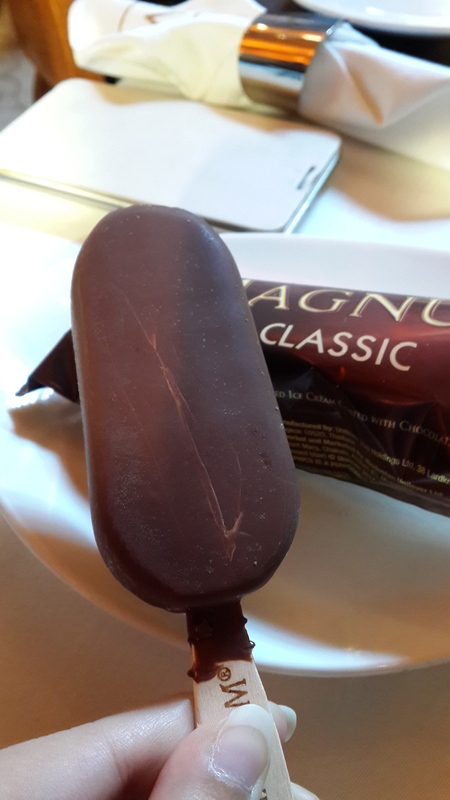 He said that this Belgian chocolate being one the best chocolate that is their in the world, is also the chocolate used for covering the Magnum. He made us taste each sample, explaining the texture and the taste of the chocolate. Obviously no one was complaining. We were like a bunch of kids with a extra knowledge of chocolate. After hogging down on the samples especially the dark chocolate which was the best. 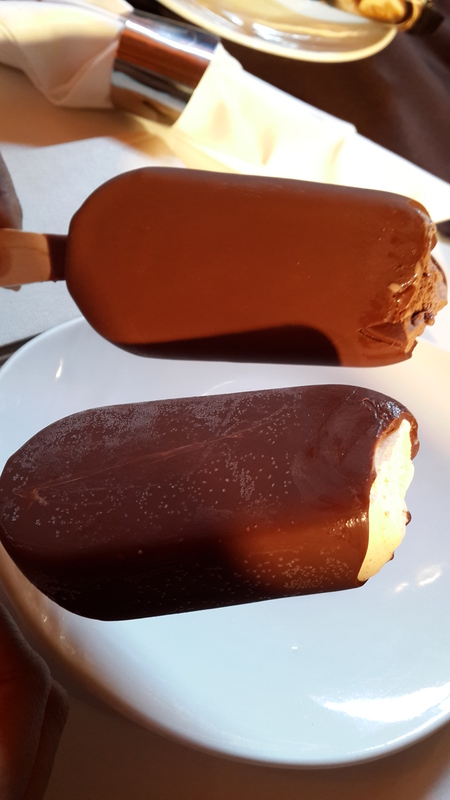 Enter Magnum Ice Cream. So now we were a bunch of super excited kids who were eating chocolate and ice cream ( just imagine the sugar rush). 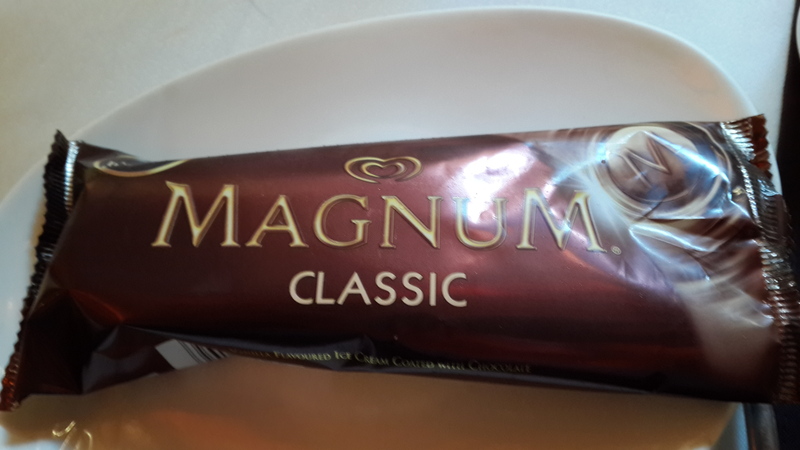 I chose the classic flavor from the options of classic, chocolate truffle & almonds. Chef told all of us to hold the ice cream and then stay quiet and take a bite. To hear the perfect crack when the bite was taken is pure pleasure. We all gobbled down the ice cream. 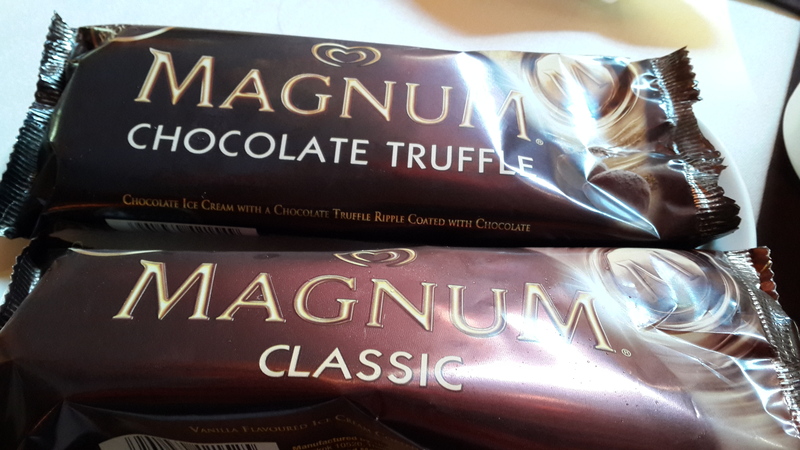 So here is a small advise if you didn’t have breakfast, lunch or dinner and you just have one magnum for one meal that will be enough. That thing is super filling. I couldn’t even finish the whole thing. I was literally stuffed with deliciousness. So there we thought that is it but there was still more. 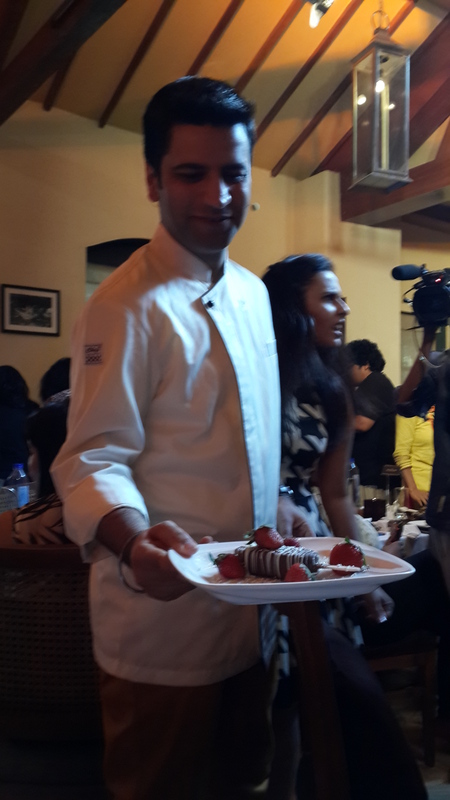 Chef took the Magnum and started plating and decorating it. After that he went around the tables showing us the dessert and then we supposed to do the same with a group of four / how many there were on the table with us. We got the necessary ingredients and did our best or lets just say whatever we could do in 5 minutes. 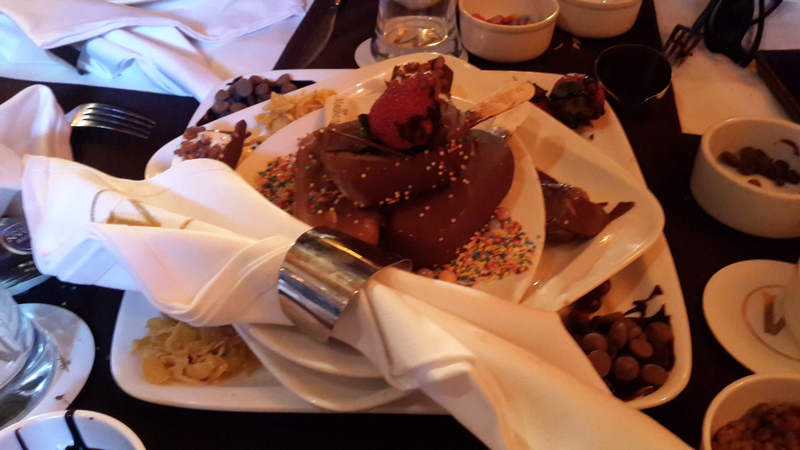 After that the Chef came around asking our theme or thought of the sundae well we said anything that came to our mind. I am sure even he got confused but didn’t show it. So after eating, seeing and making chocolate and ice cream it was time to leave. 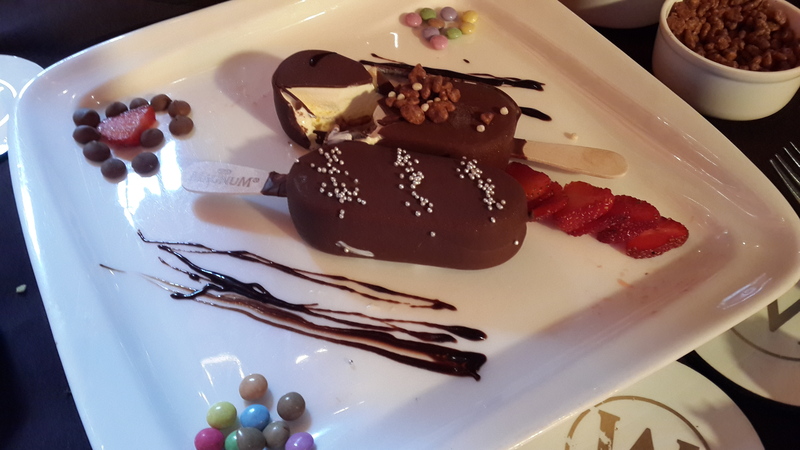 So guys even you can go and enjoy the pure delicious pleasure that Magnum is which will be sold all over India from 20th February. That is today, so grab one now !!! Lastly I want to thank you Magnum India and Sameer Malkani from Food Bloggers Association India for the invite and a wonderful time. Very nice post. 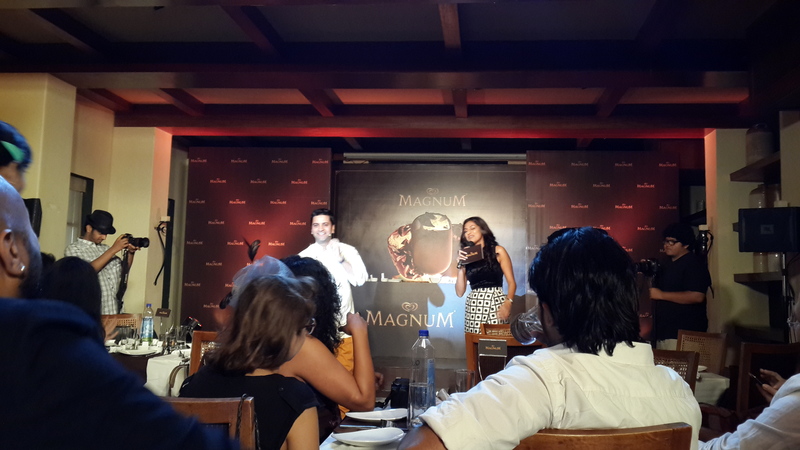 I attended the Hyderabad launch of Magnum. Enjoyed a lot. That’s interesting it was many many many years ago I helped with the first distribution of the Magnum..! It was over fifteen years ago am sure! Well am pleased it’s launched! !